The tropical climate in Singapore can be harsh sometimes, which make Singaporean reliance on the air conditioner ever strong. The air conditioner is an essential part of your home and by chance if it faces any problem, you may find yourself in a bit of a hot situation. 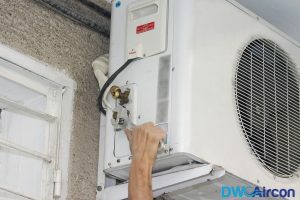 In Singapore, living without air-conditioning can be unbearable and it is not economical to call a professional aircon specialist every time the aircon stops performing. 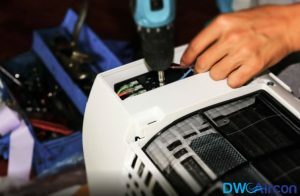 Before you get to any aircon company in Singapore for air conditioner repair, here are few tips that will come handy. If you try these out then you may find that the problem can be prevented or resolved. However, remember that if the problem still persists then it is best to get to a professional aircon specialist who will take care of your air conditioner and aircon repair issues. If you can maintain your Aircon then you will find that it performs better and you will not require aircon repair in Singapore. Professionals and manufacturers suggest that you must take proper care of your Aircon so that it requires minimal repairing during the course of usage. The basics of maintenance is keeping your Aircon clean. Check out if any debris or leaves is stuck in the Aircon fan. Sometimes they may get stuck and stop the Aircon from performing. Next, you should clean the filter regularly. If you do that on regular basis, it will reduce the chance of an aircon breakdown by 30%, based on research. Clean the filter once in every 15 days. The pipes are also important and they should also be cleaned as a dirty pipe cannot make the air quality good. You can try bleach cleaning the pipe. Do not forget to clean the fan blades when you are cleaning the Aircon. Along with that clean the condenser fins too. Be careful as they are very delicate and may break easily. Thermostat issues of your air conditioner may cause you distress. Sometimes it may be solved by simply changing the battery. The battery life may be over and all that it need is a new set of batteries, so change the battery first. Apart from this there are certain tips that will help you in managing the thermostat better. Like, never ever keeping the thermostat temperature above the room temperature. Check out the aircon fan blower. and while checking, keep Aircon unit turned off. Sometimes there may be ice accumulation inside the Aircon that stops it from performing. Wait till the ice melt. In order to do this quickly you may blow the fan after turning off the unit. Otherwise if you may wish to leave the Aircon as it is to allow the ice to melt naturally. Thus, before you call any technician for aircon repair, look out for the thermostat first as the issues may be easily solve in this area. The whole Aircon system is regulated by the compressor. When there is any problem within the compressor the Aircon will not function normally. The main problem that almost all compressor faces is ice buildup. Hence, you must replace the contractor tube. 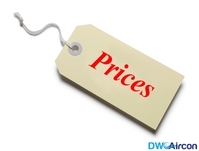 A technician will ask for varied aircon prices but if you try yourself with proper instructions you can save that amount. There is another way to defrost the compressor and that is by resetting the whole system. You will need to turn off the whole system from the meter box. Once defrosting is done, you can start it again. Most of the time it is found that the Aircon is leaking water and you will not like that. Normally, you should call a professional to fix the problem but if you follow DIY guides on YouTube, you can follow how they are doing it and you will find that it is quite simple. In Singapore, the weather can become excessive hot sometimes and the difference in temperature is one of the main reason of aircon leakages. Ask the expert what should be done first when you find that the Aircon is leaking. They will suggest that you check out for any ice accumulation. You should follow the rule that in order to maximize the life of your Aircon you have to take good care at the right time. Normally, the ducts are there on the attic, so if it is possible get up there and check out the ducts out there. 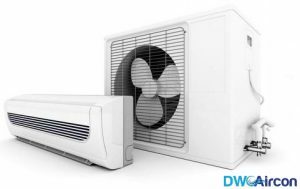 But conventional aircon in Singapore has their ducts located on their external aircon unit. They are made up of plastic and they tend to get damaged easily. Thus, be careful and clean them at regular intervals if there are debris in them, the Aircon may not function properly.